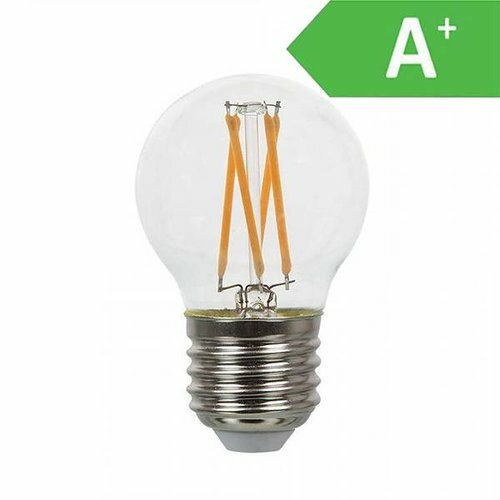 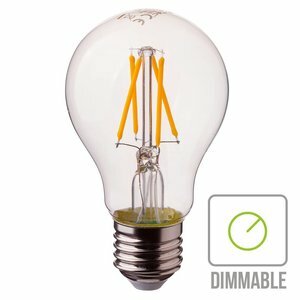 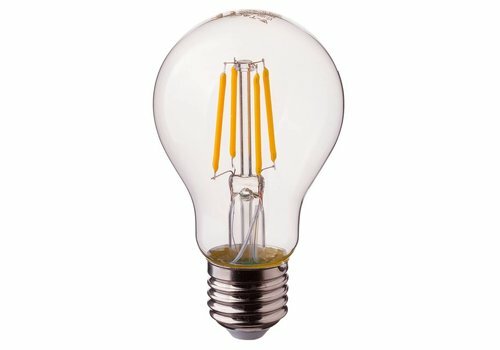 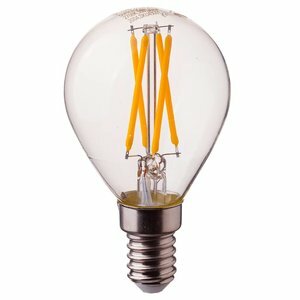 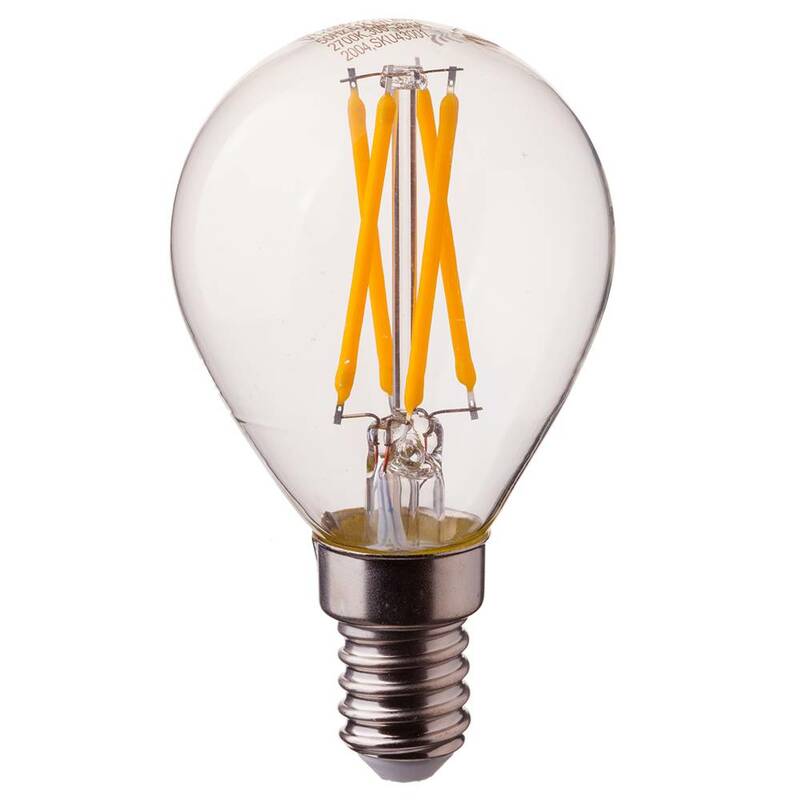 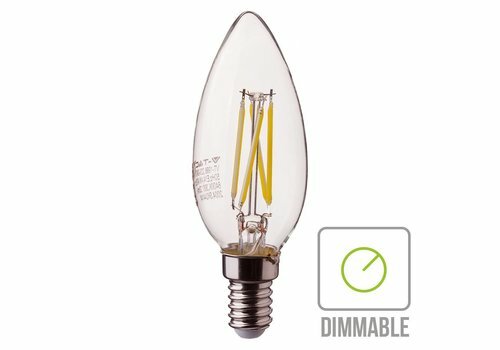 With this LED filament bulb from the gold series you can bring the real atmosphere for your lighting! 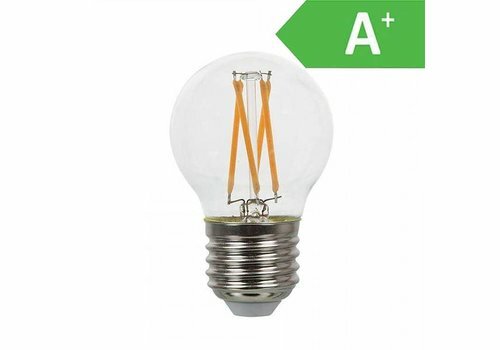 Energy-efficient, long life 20,000 hours. 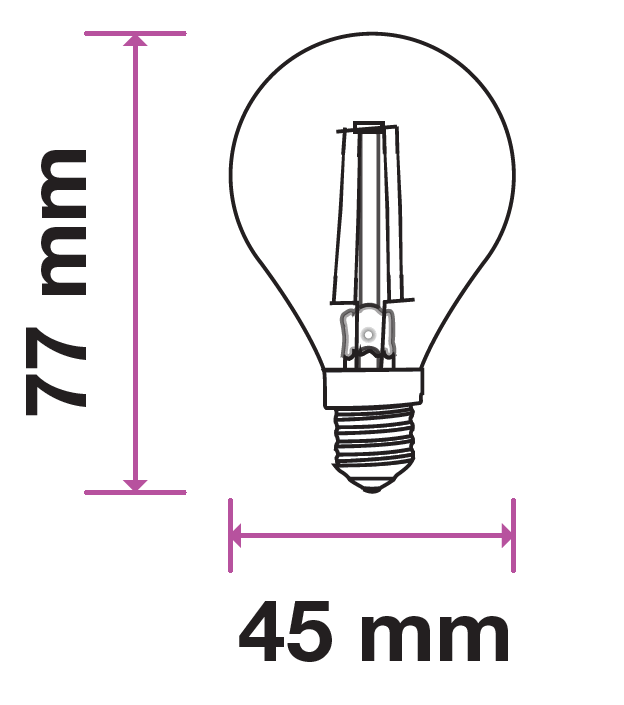 E27 fitting. The E14 LED filament light bulb combines very low consumption and long life with the atmospheric appearance of the traditional light bulb. 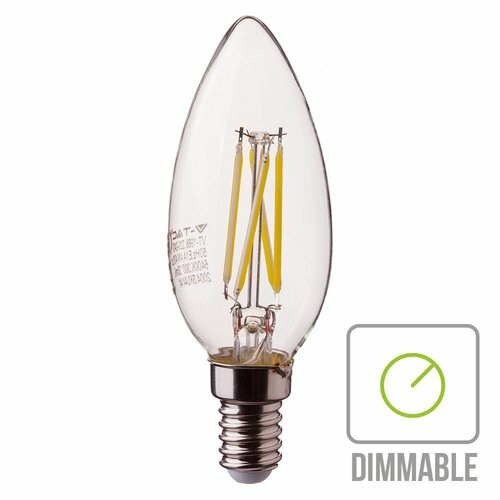 Both the extra warm white light color 2700K and the full light angle (360 °) are equal to the traditional incandescent bulb to be replaced. This LED light bulb is suitable for E14 fittings and not dimmable. 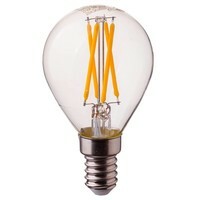 Where the shape of the lamp is better known as the type: P45. 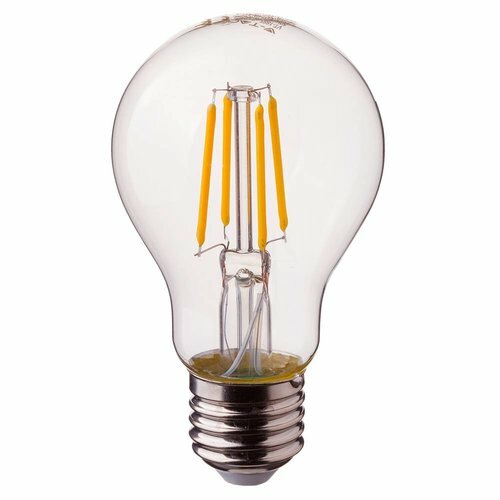 Mooie led lampen, zien er kwalitatief zeer goed uit. 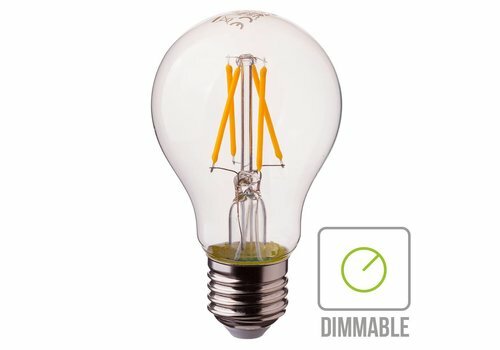 Kan alleen nog niets zeggen over de levensduur!